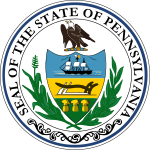 The 2010 elections for the Pennsylvania House of Representatives were held on November 2, 2010, with all districts being contested. Necessary primary elections were held on May 18, 2010. The term of office for those elected in 2010 will run from January 4, 2011 until November 30, 2012. State Representatives are elected for two-year terms, with the entire House of Representatives up for election every two years. This page was last edited on 11 April 2019, at 23:31 (UTC).